Elements of Rock 2017 We are very happy to announce that we'll perform at Elements of Rock in Uster, Switzerland in March! 6. FullMetal Osthessen 2017 On March 2017, we will be playing at the 6. FullMetal Osthessen 2017 in Germany! One of Greece's premium metal webzines, Rocking.gr, has "InnerWish" at No. 4 in a list with the top-10 metal albums for the first half of 2016! Lets hope we stay there and by the end of the year...Thank you! Our new album, "InnerWish", has been released on the 18th of March in Europe and 30th of March in Japan, through Ulterium Records! We are really proud and happy to present you our official video for the song "Moden Babylon"! So this is the second song out of our new album, "InnerWish"! We're proud to present the lyric video for "Needles In My Mind" from the upcoming self-titled InnerWish album! 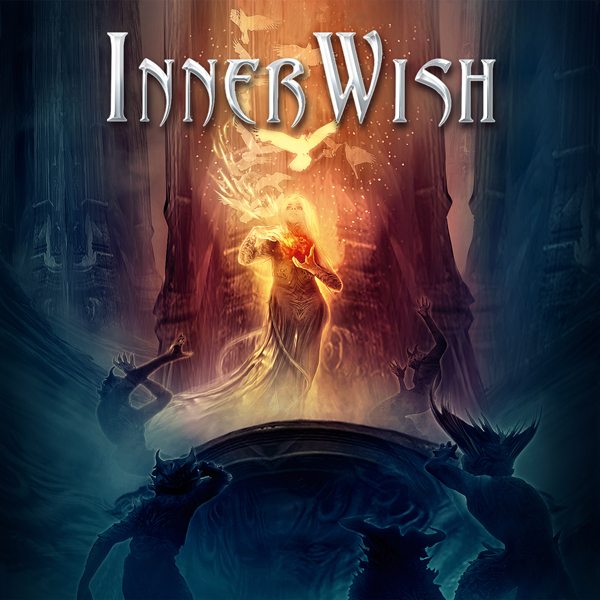 "InnerWish" will be released on March 18th in Europe and North America. And here it is, the first track out off our upcoming new album, "InnerWish"! This is "Rain of a thousand years", one of our most challenging and beloved songs! Feel free to share, like and comment! We would love to read your thoughts about it! "InnerWish" album out on the 18th of March, through Ulterium Records! So this is it! Our new album, simply entitled "InnerWish", will be released on March 18, 2016 in Europe and North America, via Ulterium Records. The artwork of the album was created by Felipe Machado Franco [Blind Guardian, Rhapsody Of Fire, Xandria] and the design was done by Jan Yrlund [Korpiklaani, Apocalyptica, Manowar]. Here's a small statement from us, regarding this new musical journey: "This is the first album with our new lineup, and we hope this lineup will be unchanged for many years since we now feel stronger, more confident and sure about ourselves than ever before. For those reasons we chosed 'InnerWish' as the title of our new album, because it represents us in the most exact way. We are very proud of this album. It might sound very common, but it's the truth for us: this is the best InnerWish album so far! Heavy, aggressive, modern, melodic and diverse at the same time, with all the classical InnerWish elements, combined with some new ones. It might have been 6 years since the release of 'No turning back' but all the difficult times we've been through made us stronger and the result is this new, fifth album of InnerWish. We are back for good!" More details about the album will be announced early next year.